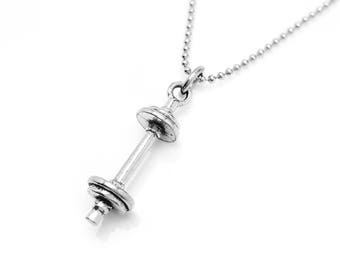 Wear this necklace as motivation to stay focused and continue working towards your goal! Necklace includes a mini dumbbell charm with a heart detail. 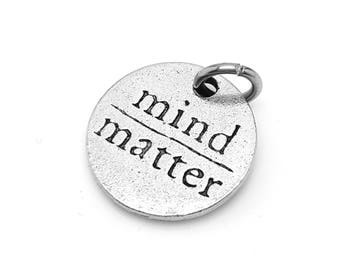 Charm measures about 3/4" and is made out of nickel-free and lead-free pewter manufactured in the USA. 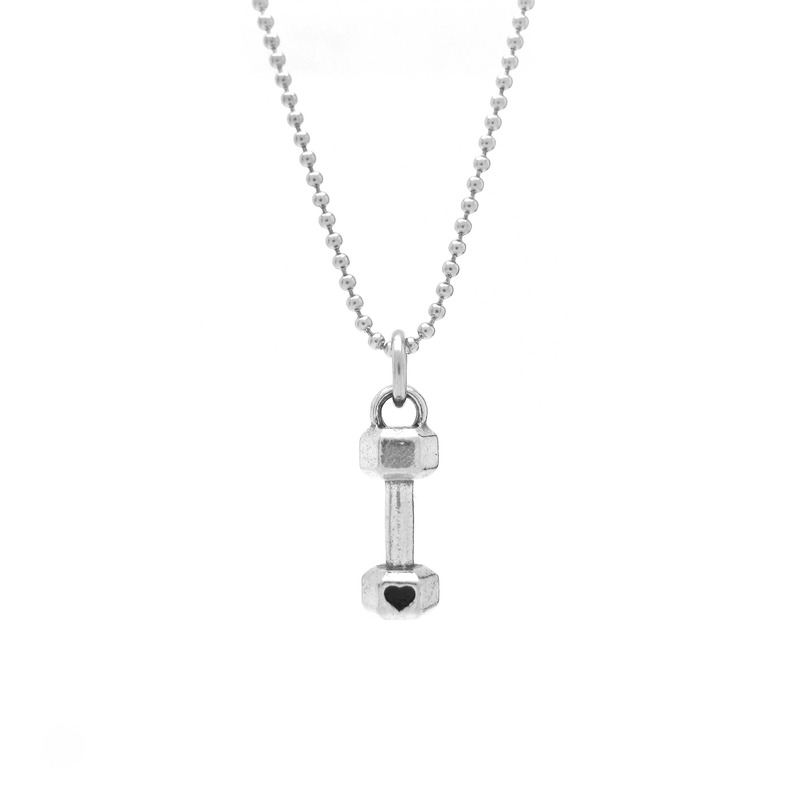 The necklace chain is made out of stainless steel. 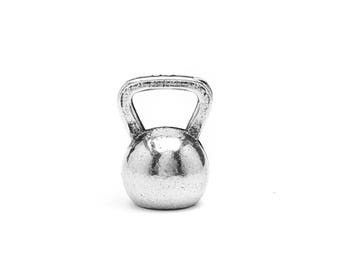 Both pewter and stainless steel are great hypoallergenic options for those with sensitive skin or metal allergies. 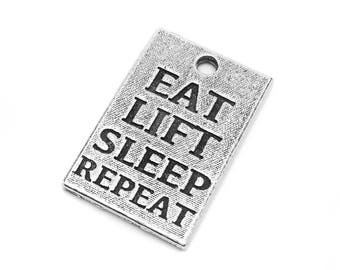 Check out the rest of our motivational and fitness jewelry at www.Luv Fit Jewelry.com ! 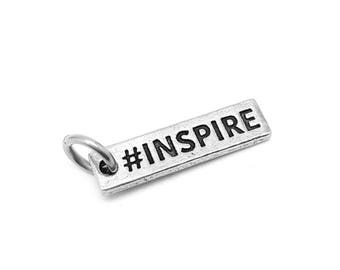 WANT DIFFERENT CHARMS ON YOUR NECKLACE? Beautiful keyrings ! Would order again! Making a charm bracelet for a friend. this bracelet is perfect. Shipping and packaging was very secure. Price was great. Would definately buy from this seller again and highly recommend them! Shipping was great and speedy ! However item is smaller in person and not quite worth the price charged. Items are shipped upon receipt of payment. As a side note, eChecks made via PayPal can sometimes take 3-5 business days to clear. Orders are not shipped until the eCheck clears. FOR JEWELRY / KEY CHAINS: Refunds / exchanges are available within 1 week after you receive your order. Customer is responsible for shipping costs back to us. If requesting a refund, only the cost of the product is included, provided that the product is still in good condition. Any shipping costs will not be included as part of the refund. Note: When mailing an item back, we suggest getting some form of shipping that includes tracking (First-Class USPS will usually provide this) and / or insurance. A refund / exchange will only processed upon receipt of the item. 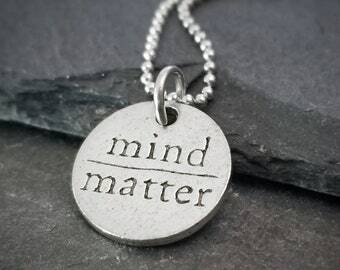 All jewelry and key chains are shipped via USPS first-class mail typically within 2 business days (Monday-Friday) or USPS Priority (unless otherwise stated in our shop). Shipping times vary depending on your location, but usually take between 2-7 business days within the USA for first-class, or 1-3 business days with Priority. Neither are guaranteed time frames, but are pretty reliable from my experience! International orders (outside of the USA) can take 1-5 weeks, but most locations take about 2 weeks from what I've been told! As a side note, please make sure you are familiar with your country's customs fees prior to ordering - every country is different! We are not responsible for these fees. Of course, holidays or natural disasters can delay shipment time-frames. Please note that we are not responsible for any customs fees. Make sure you are familiar with your country's customs fees before ordering - it varies quite a bit country to country. This is the buyer's responsibility to be aware of before purchasing. Domestic orders: Shipments within the USA usually do not take more than 1-2 weeks to arrive. If for some reason your package doesn't arrive, please let us know and we'll work out a solution! International orders: If you're located outside of the US, shipments can sometimes take up to 5 weeks. Unfortunately there isn't much we can do to control this as there are many factors that can delay a shipment (i.e. - weather, delays within the destination country's custom's department, etc). We can reship or issue a refund after 5 weeks have passed to allow for the full estimated time frame to ship. Just let be sure to let us know and we'll work out some sort of solution. 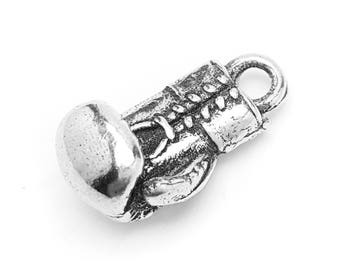 Our pewter charms are a great hypoallergenic alternative to sterling silver. 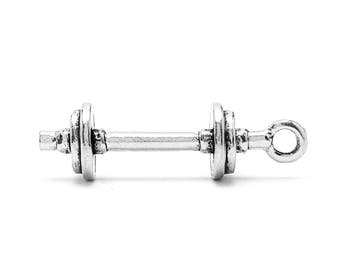 These charms can be worn while working out or in the shower, but will need to be polished / cleaned occasionally. HOW T0 POLISH PEWTER CHARMS: Just a regular polishing cloth works great! 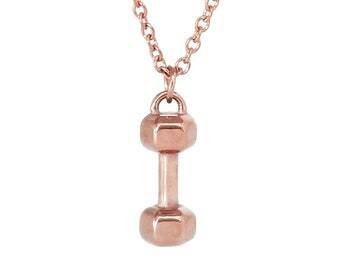 Our necklace chains and bracelet chains are stainless steel and can also be worn while working out or in the shower. 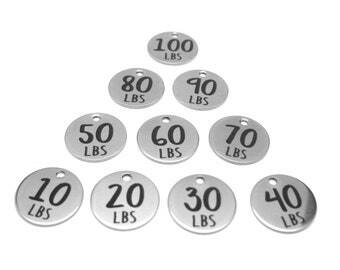 We do offer some zinc and resin charms. We don't recommend getting these wet.